I’ve put off reviewing The Division for too long. I “finished” it a few weeks ago, insofar as you can finish any game of its ilk, but I kept thinking I might go back and wrap up some loose threads, find some more meaningless doodads and kill more dudes in hoodies. It’s not to be. The spell is broken. The Division no longer has power over me. Which is to say I played The Division for maybe 30-40 hours in two weeks, and I am left empty. Sometimes I laugh when I see Steam reviews that say something along the lines of “1,000 hours played. Do not recommend.” It’s so unthinkable. How does something like that happen? 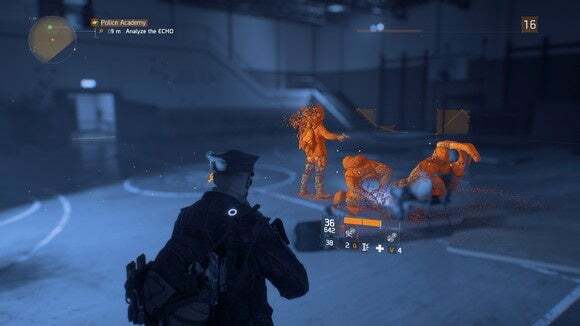 Tom Clancy's The Division is how it happens. Games that are fantastic at exploiting the human need for progress, wrapping it up in fancy clothes so you don’t realize you’ve ultimately gone nowhere at all and accomplished nothing. And to be fair, this applies to many games. Playing Rocket League, for instance, the goal is...to play more Rocket League. The same with Call of Duty or Battlefield or Red Orchestra or Arma or whatever brand of multiplayer treadmill you prefer. For some reason I find it particularly distasteful in these singleplayer/multiplayer hybrids though. Here we find neither the spectacle of a purely offline experience nor the rapid-fire pacing of one that’s purely multiplayer. Instead everything is stripped down to the grind. To that peculiar compulsion to fill up bars. 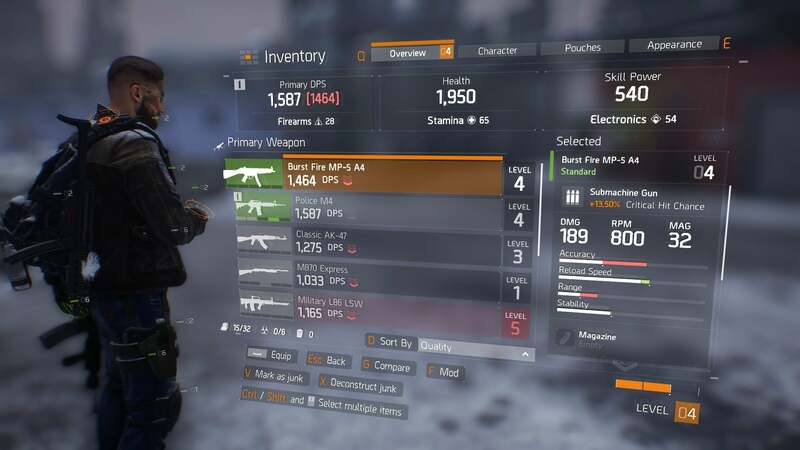 The ultimate goal is, of course, to get new (better) gear—guns, bulletproof vests, gloves, et cetera—so you can kill more guys so you can get better gear so you can repeat and repeat. It’s a roller coaster. 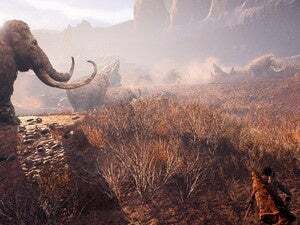 You’ll enter a new area just underpowered enough to feel challenged, and then a new gun or backpack turn you into an unstoppable killing machine for an hour or two. That’s all there is here. Diablo wraps its loot mechanics in grimdark cinematics. Borderlands wraps its gun pursuit in stupid humor. The Division is just naked loot-greed, so it’s good Ubisoft at least nailed the psychological aspects of shooting guys so you can shoot more guys with bigger numbers next to their names. The game makes a half-hearted attempt towards telling a story about a smallpox epidemic ravaging New York City but, well, I pretty much just told you the whole story. It’s the thinnest of setups and any attempt at storytelling post-introduction is not so much story as vignette. It’s not just the landmarks. Subways and tenement houses and snow-covered streets in Chelsea have been given just as much care. But the landmarks dominate this empty New York, and particularly Times Square—that most persistent symbol of a city that never, can never, will never sleep. Except now the power has gone out and Times Square has gone dark, reduced to so many greyed-out billboards and busted screens. One mission charges you with turning the power back on (for some reason) and culminates with you coming under fire in Times Square just as the billboards roar back to life, darkened New York Streets suddenly giving way to blinding reds and yellows and “Look at me! Look at me!” advertisements. It’s a darkly surreal moment and in a better game would be a climactic bit of storytelling. 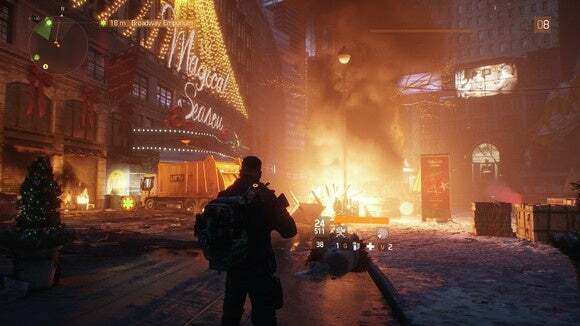 But in The Division it is just one firefight among many, giving you the necessary experience to boost to the next level so you can leave Times Square behind and never return. It has no effect on the city. Nobody will ever mention it you. Nobody cares. Times Square is bright again, but New York doesn’t notice. 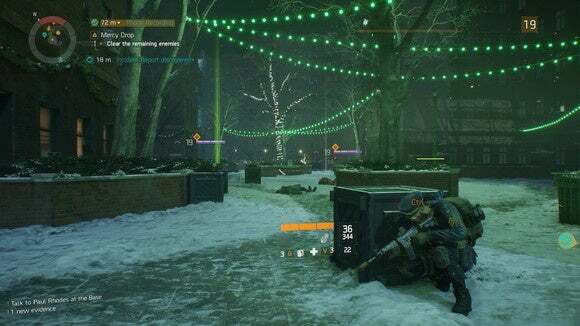 And this is the problem with The Division as this MMO-lite junk food. Some true artistry has gone into the game’s biggest moments—you’ll remember I mentioned a firefight outside Grand Central as another highlight of the game. Once those prepackaged moments are over though you’re dumped back into an empty city full of nothing, slave to a little orange line that directs you to the next place where something mildly interesting will happen. 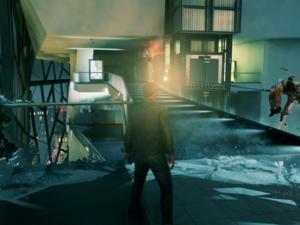 And so much of what it has to offer is forgettable: Collectibles. Boring side quests with little-to-no story padding. Lots of stop-and-pop cover shooting at enemies with too many layers of armor. In your typical Ubisoft game, you ignore it. The whole Map-Littered-With-Icons trope is a Ubisoft calling card at this point and in Assassin’s Creed or Far Cry or whatever I just blow past as much of it as I can and get back to the meat of the experience. 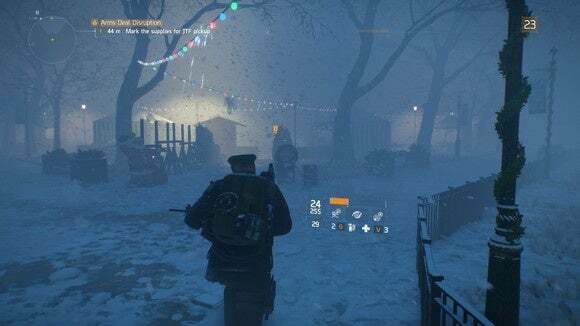 This being an “RPG” though The Division forces you to engage with its most tired elements time after time in pursuit of bigger-and-better numbers. The real shame is there’s an inkling of a much better game on offer, or at least a more intriguing one. The heart of The Division, and the heart of its New York, is given over to an area called the “Dark Zone,” a combination PVP/PVE region full of better gear and tougher enemies. This is the actual “MMO” part of the game too, given that outside of the Dark Zone you can pretty much play the entirety of The Division without seeing another person. You’re given the chance to join a group of four before every mission, which certainly makes the game both more challenging and more interesting—most of the skills you acquire pertain to team play, and you can chat about life (the universe and everything) during the more boring bits. But everything is instanced, so at best you’re roaming around silent New York as a pack of four. The Dark Zone is true multiplayer. In theory your goal is to kill the AI boss enemies on offer, snag some great loot, and then get out. Any loot you obtain in the Dark Zone is “Contaminated” though, so you need to (don’t ask me why) airlift it out by helicopter. And while this is happening, anyone else can shoot you in the back and steal your newly-found gear, becoming a hunted “Rogue Agent” in the process. It’s ingenious. As with Assassin’s Creed’s now-aborted multiplayer, Ubisoft’s created an excellent blend of risk/reward and stranger-danger paranoia. And with Ubisoft saying it’s what makes The Division stand out, you have to wonder...why the hell is it contained to one area? As it is, the rest of New York feels safe, empty, and boring by comparison. It feels borderline useless to try and write a review of a game like The Division because it’s packaged under this games-as-a-service banner, expected to bandage its problems and evolve into something wholly different in six months/a year/two years. So consider this a review of my month (two weeks, really) with the game. I don’t think it’s very good, especially if you’ve a mind to play by yourself. It’s certainly addictive, and it certainly has plenty of stuff for you to do. That goes doubly for people who plan to roll with a squad of friends. As in Borderlands, the general tedium of loot-grinding is more fun when you’ve got people to chat with. 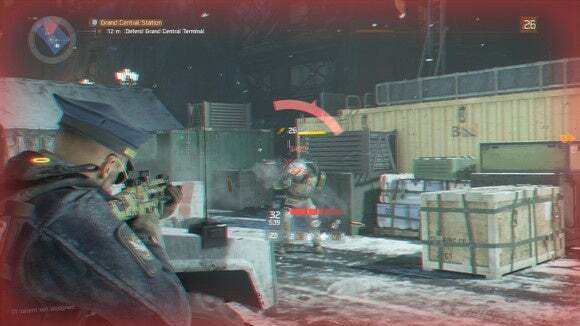 If you’re looking for a mindless way to kill a few days/weeks, The Division exists. But don’t expect to remember much of it when it’s over. 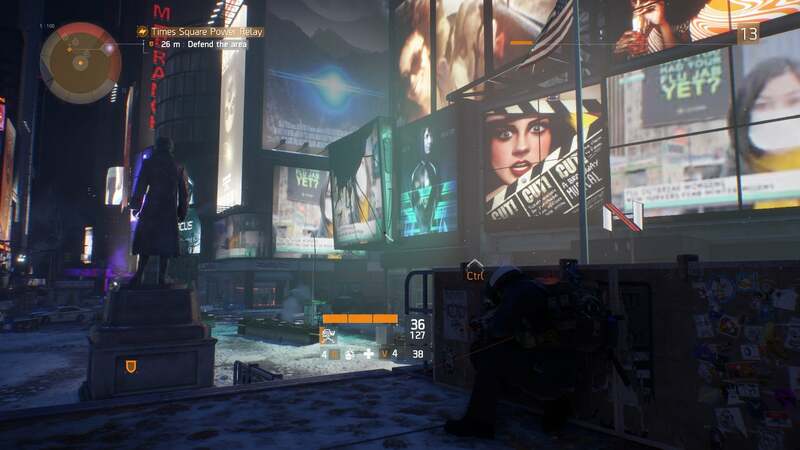 The Division is enormous, but so much of it is made up of forgettable filler and MMO-lite grinding.